At Vardhman, we believe in rendering high quality service combined with latest technology. We drive on the principles of commitment, dedication and motivation. We bring together a team of highly experienced and proficient industry professionals who can deliver solutions that go beyond excellence. We take pride to announce that we have one of the most effective facilities in India. It is our facility that has helped us to achieve the desired goal of creating a niche in the industry. We understand that it is the right blend of creativity and innovation that motivates us to offer solutions are par excellence. It is the amalgamation of self-developed, imported and indigenous technology that has proved advantageous for the growth of our company. We make use of latest machines and equipment to deliver high quality rubber products at cost effective rates. As stated earlier, we believe in keeping pace with ever evolving world. Consequential to it is the fact that we recently established a new manufacturing unit for rubber sheeting that is powered by the latest equipment and machines of the world. This will help us produce sheets in colours and designs of various types with maximum perfection when it comes to dimensional characteristics and overall appearance. In addition to this, we abide by the strict international quality and manufacturing standards. We make sure that we maintain healthy and safe working environment. Our units are spread across the area of 65000 Sq. feet. Delivering products timely is what we strive for. 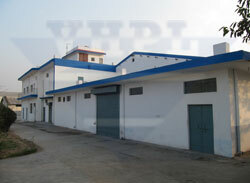 To achieve this objective we have set up a spacious warehouse. This allows us to deliver products timely according to the requirements of the customer. Taking into consideration the growing demand for rubber products, we have recently set up a new facility in the national capital, New Delhi expanding our reach further.